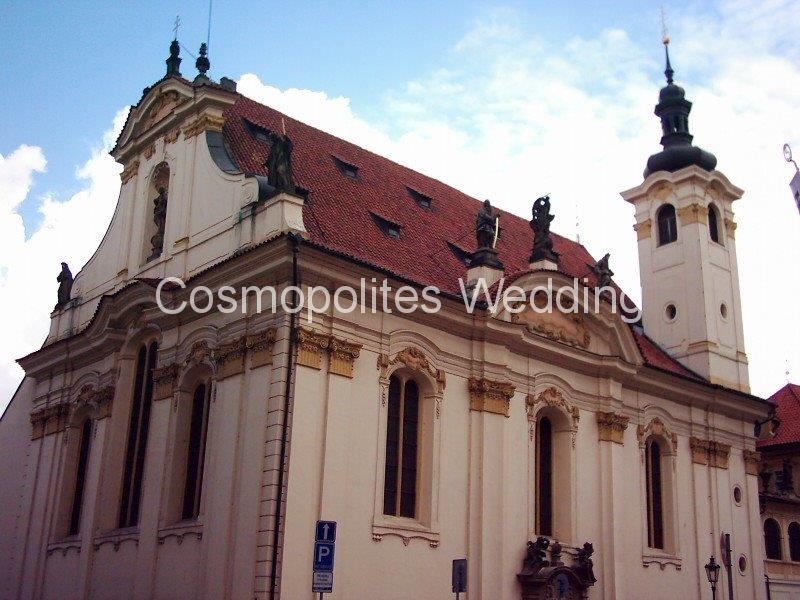 The Church of St. Simon and Jude is situated in the Old Town very close to the Spanish synagogue and Old Town Square. 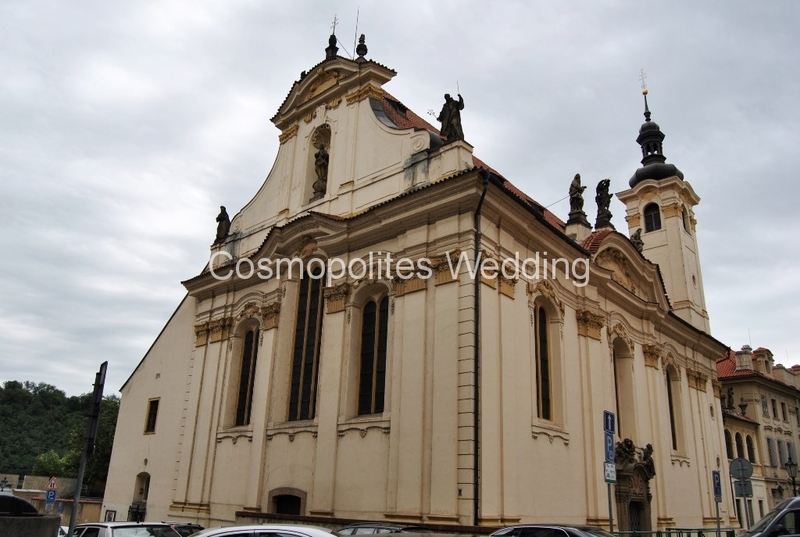 The church was built on the XVII century at the place of an old Gothic chapel. 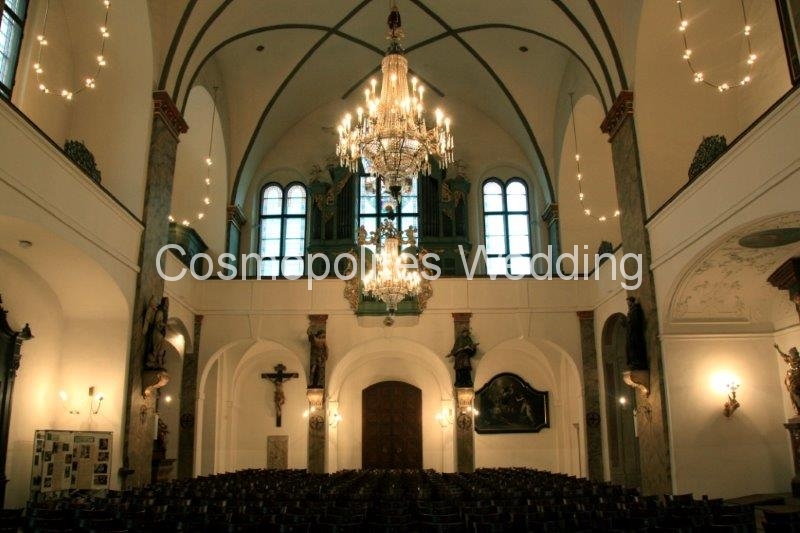 In the XVIII century it was completely redecorated in the late Baroque style into appearance we can observe it nowadays. 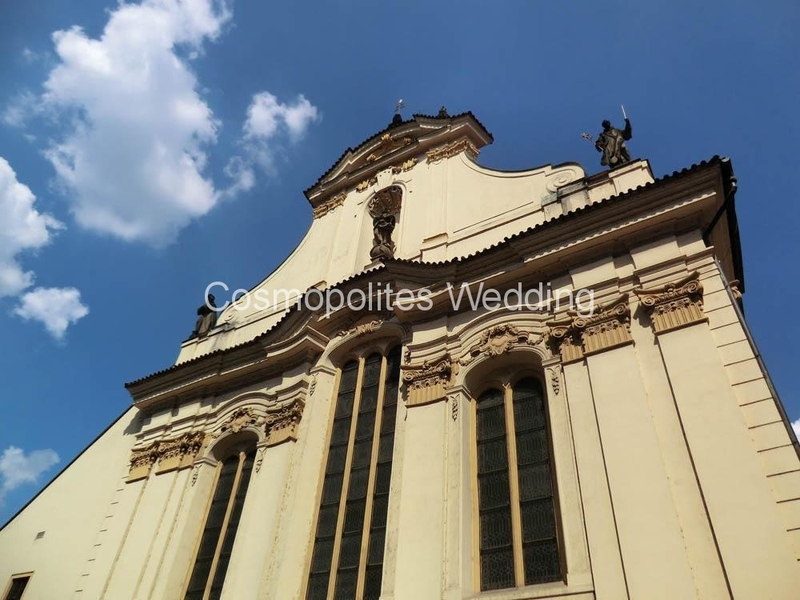 The Church of St. Simon and Jude previously was the part of the hospital and was used like the first anatomy lecture hall in Prague: in 1847 the first operation under narcosis in Bohemia took place here, only a few weeks of the first operation of this kind ever in London in 1846. 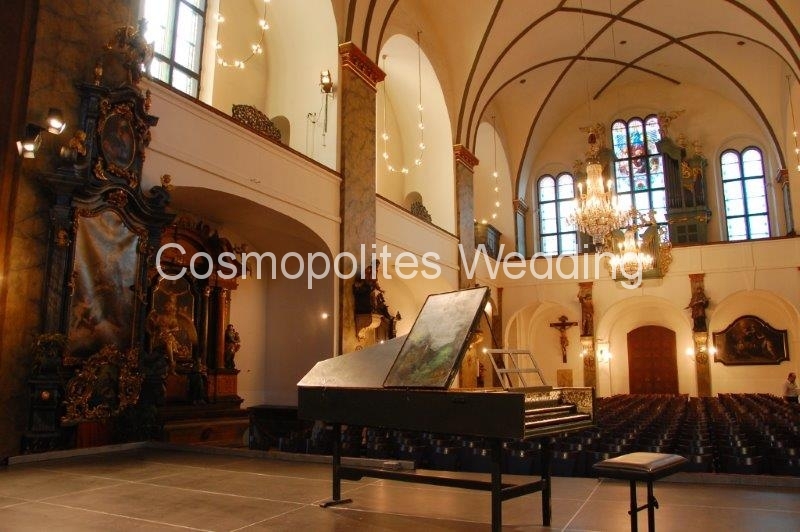 This church is very famous by its exceptional sound quality organ that was built in 1724 by Andreas Wambesser and was, among others, played by W. A. Mozart or Joseph Haydn. 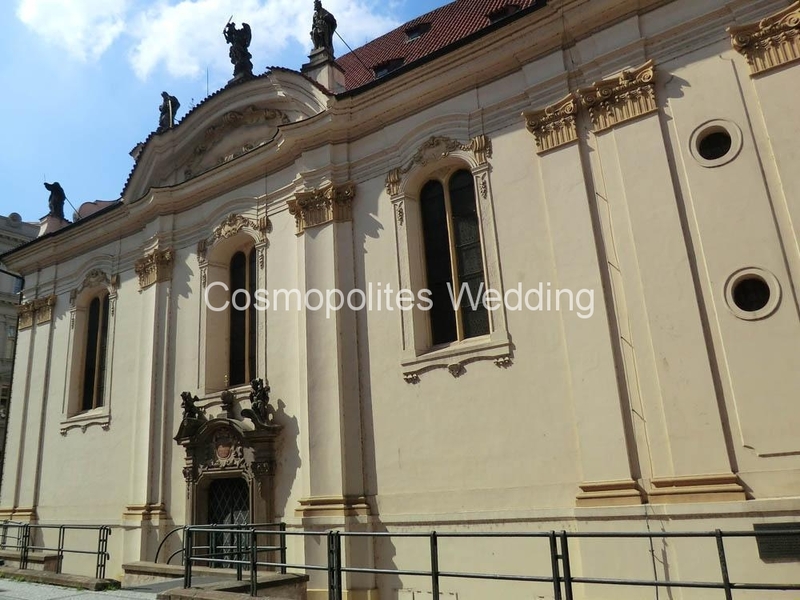 The extraordinary atmosphere of this church is an ideal place for your fabulous wedding in Prague! 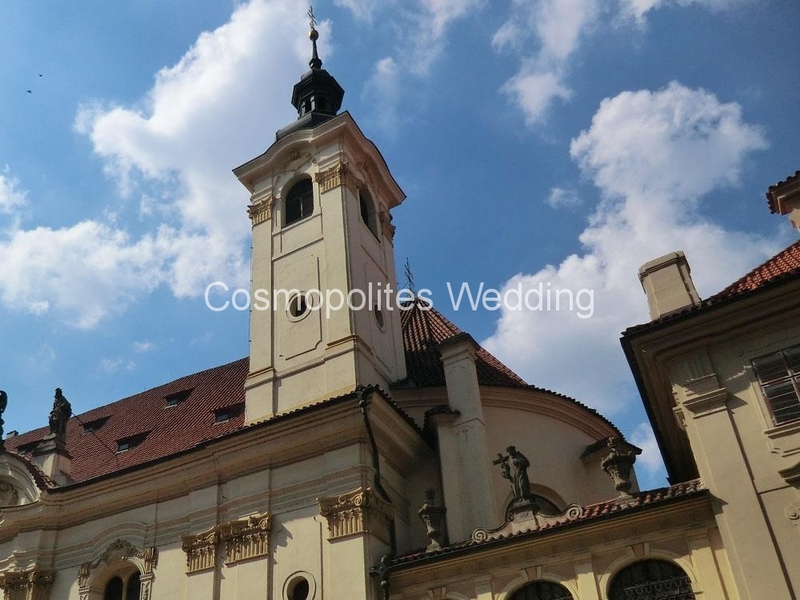 This venue is the perfect location for those couples that would like to have non religious wedding in the Prague’s church or cathedral. 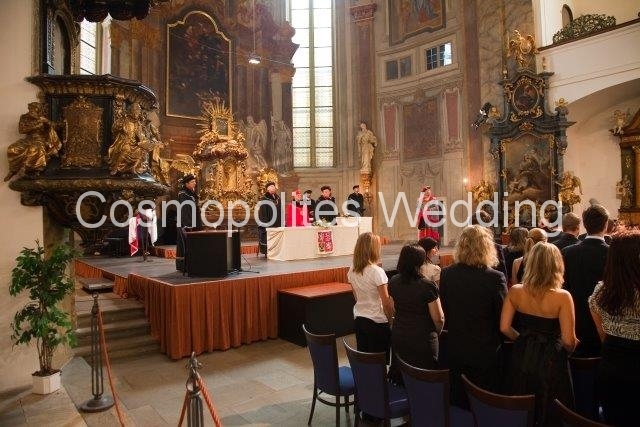 Here can take place civil ceremony or just symbolic blessing ceremony for already married couples. 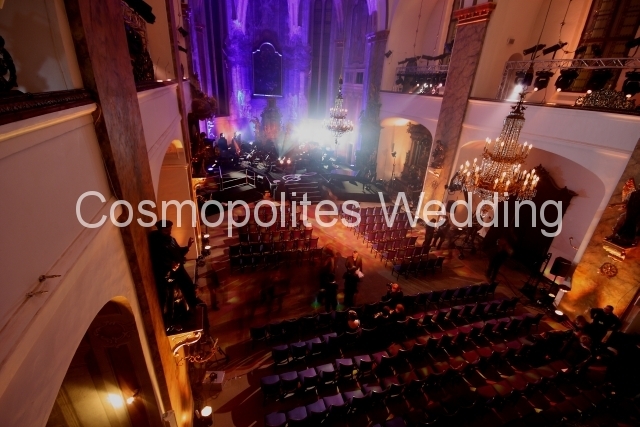 You will definitely enjoy the combination of the gorgeous ambience of the cathedral in the combination of its acoustics during the organ play on your event there! Guest service (Accommodation booking, Airport transfer arrangements….etc). 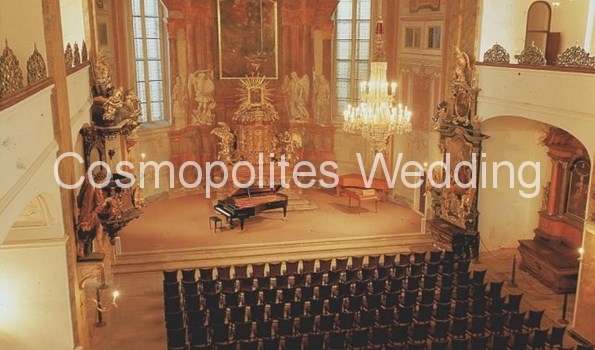 *For couples who are already in a civil marriage, discount on all packages — 100 EURO! 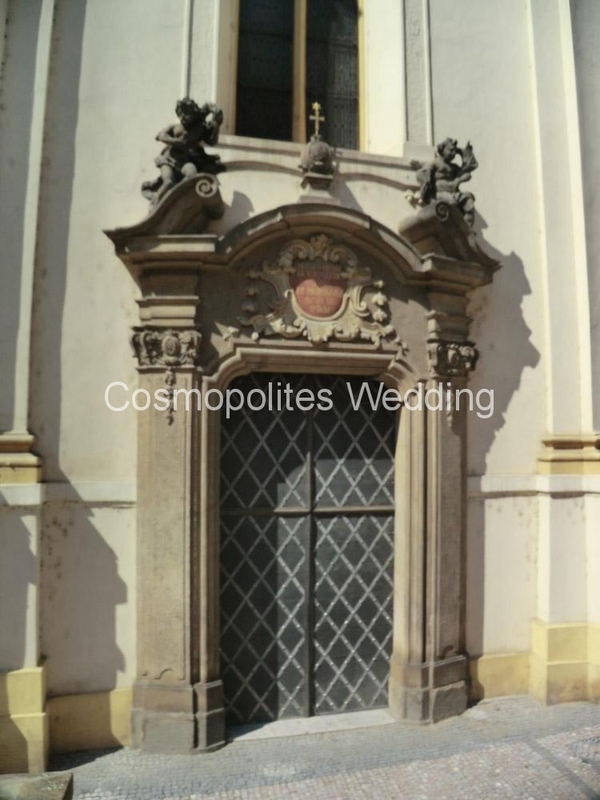 The Apostille or Super Legalisation on the Marriage certificate. !!! Offer does not include the TOP dates: Christmas, New Year, Easter and other top state holidays. Please request. 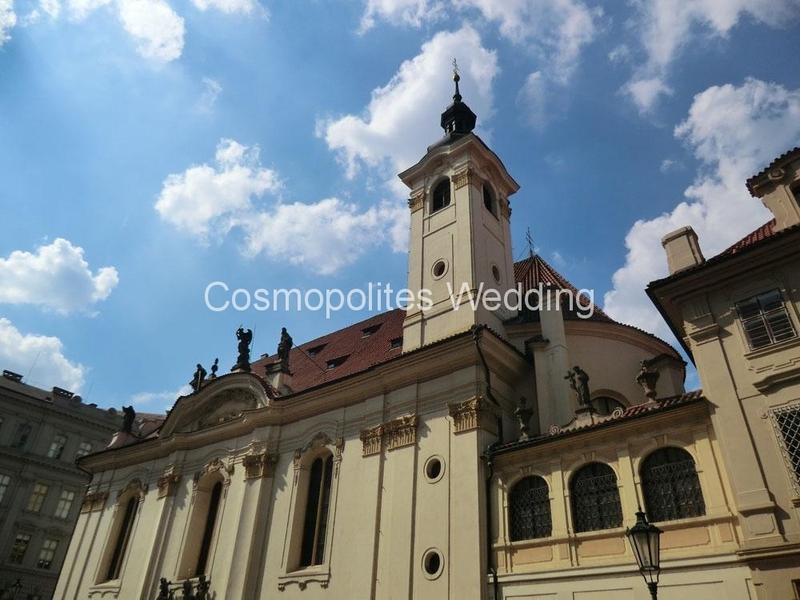 Andel Apartmany – from 40 EURO/night — DBL room with breakfast. 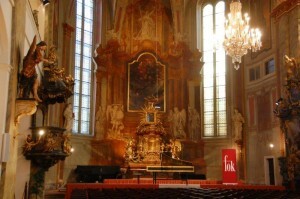 UNION HOTEL (4*) – 62 EURO/night — DBL room with breakfast. 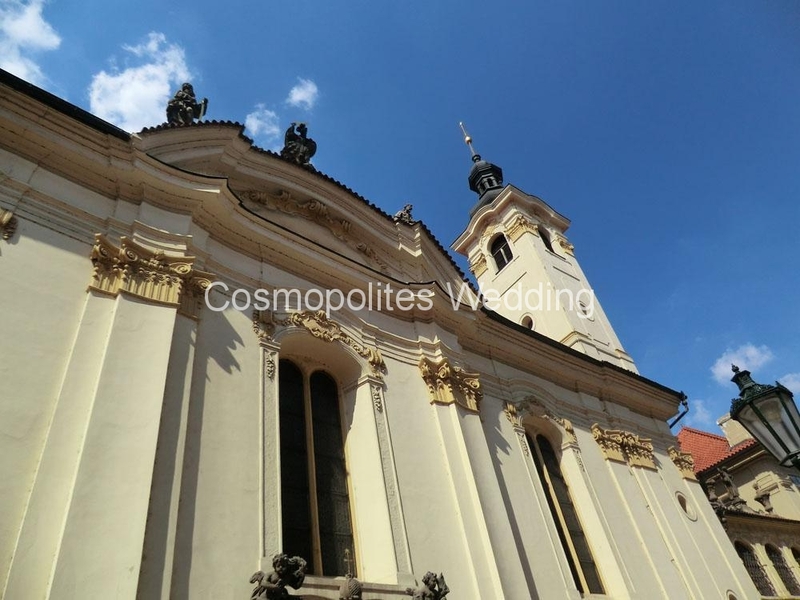 The Grand Mark hotel (5*) – 210 EURO/night — DBL room with breakfast. We would be happy to arrange any other accommodation on your request according to your needs and wishes!